If you like fairy tales that are black and seedy, nothing else compares to the recasting of the Vertigo comic series Fables. It's an interactive episodic story that retains the intrigue of, but breaks away from zombies, last year's serial interactive game The Walking Dead. 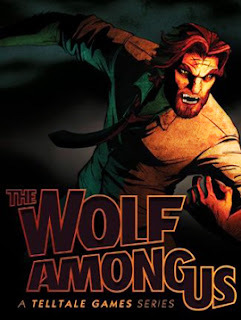 While The Walking Dead is still very much alive with Telltale Games set to release a second season for iOS fans (console gamers are already playing), there is a new sheriff in town thanks to The Wolf Among Us. His name is Bigby Wolf and his town is the Big Apple. He doesn't police the entire city, mind you. His jurisdiction is largely confined to the back alleys and broken down buildings where fables go about their daily lives. None of them live happily ever after. The Wolf Among Us from Telltale is all hard boiled. No, these are not the fables you are told as children. Any reasonably innocent veneers that might have been sported in their original stories are stripped away. The content is more mature. The oldest brother from the Three Little Pigs mooches bourbon. The Woodsman who saved Snow White goes on benders. One of the flying monkeys from the Wizard Of Oz would rather slug down wine than get the job done. And your perspective? You play as the infamous Big Bad Wolf. It's his job to somehow keep the peace as fables, fairy tales, and legends eek out a living in our world. Most of them exist in Fabletown, a sizable chunk of New York City. The fables themselves blend into the backdrop, using an enchantment called Glamour to make those that aren't human look human. The last thing they want is to draw attention to themselves. They would rather humans (a.k.a. the mundane or mundys) not know that they escaped their home worlds to live here in exile. To help keep such order, Ichabod Crane serves as Deputy Mayor. Snow White is his assistant. And then there is Bigby. He is a natural fit as sheriff for his preternaturally powerful senses. But there were several trade offs. Not all of the fables and fairy tales trust him. They don't always believe that Bigby has overcome his dark past — even if they all agreed to start with a clean slate. Why would they? Most of them have already mucked up their reputations, finding it is easier to be bad than good in their new and marginal lives. The back story comes from the head of Bill Willingham. 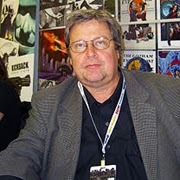 The original series source material was published in 2002 and based on a premise crafted by Bill Willingham. His story takes place after most characters from folklore and fairy tales are ousted from their homelands by a conquering force called The Adversary. Without homes, they found refuge in our world and then attempted to blend in. Willingham originally received his break as a graphic artist and storyteller in the late 1970s. He worked for TSR, Inc. as a staff artist. Later, he gained attention in the comic world with his series Elementals, which was published by Comico. Another quick graph or two to cover the game play. While the game play is very similar to The Walking Dead, there are some differences. 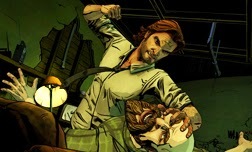 The most compelling includes Telltale Games' continued attempt to break away from the linear nature of storytelling games. In this case, not only does what you do make a difference, but also when you do it. Another significant change is the underlying psychological objective of the game. Whereas The Walking Dead often presented moral challenegs, The Wolf Among Us seems to balance itself between being a loner or part of a social group as Bigby solves a murder mystery. The Wolf Among Us Transforms 7.8 On The Liquid Hip Richter Scale. While the first episode might seem short in terms of the game play, Telltale Games does a phenomenal job at moving interactive game stories forward. The illustrative work, story lines, and increasing adaptability to players choices continues to be outstanding. For portable iOS platforms, The Wolf Among Us is compatible with iPad 2, iPhone 4S, and iOS 6. You can find all of the console and software offerings on Amazon (digital codes). Most players consider it a worthy successor to The Walking Dead. Not everyone appreciates the niche, but there is no question that Telltale has found a future in adapting graphic novels.